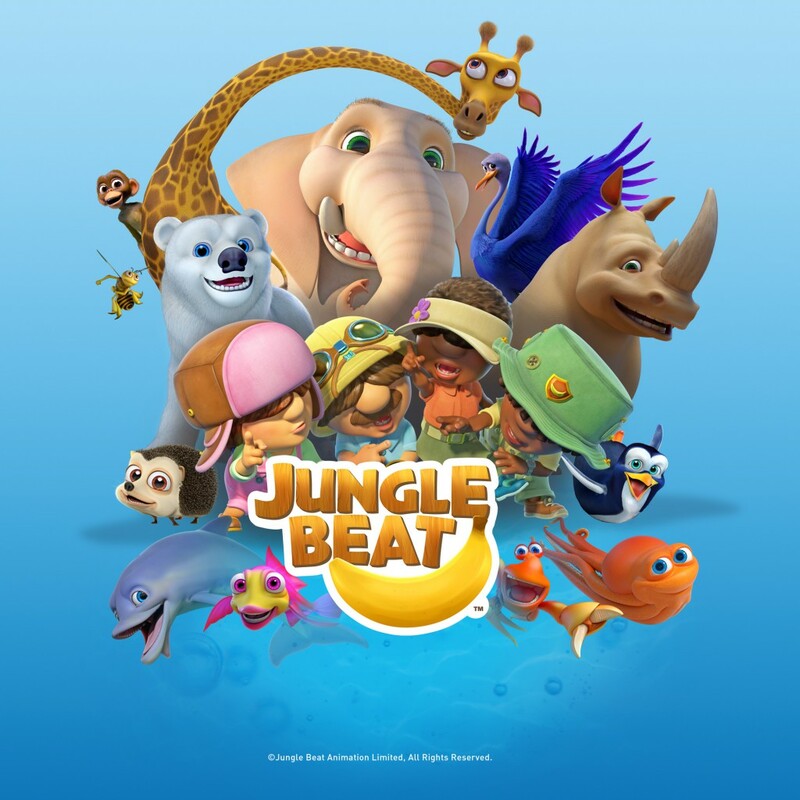 Jungle Beat, the award-winning non-verbal children’s animated series from South Africa’s Sunrise Productions has been picked up by Turner, for their Boomerang channel across Central and Eastern Europe, from distributor Monster Entertainment. The brand new third season of 13 x 7’ episodes will have its world premiere on the kids network in the third quarter 2015 in Germany, Austria, Switzerland, Benelux and Eastern Europe, following which it will be licensed to free TV broadcasters. VRT is already on board for Flemish-speaking Belgium. Monster Entertainment has sold seasons 1 and 2 to broadcasters in 182 countries, for whom the series has topped ratings, and to 30 airlines. Season 3 is being completed at present and Seasons 4 and 5 are in production. There is also an active licensing programme, theatrical screenings, a high-end iOS and Android game, a digital kids club, and promotional opportunities underway. 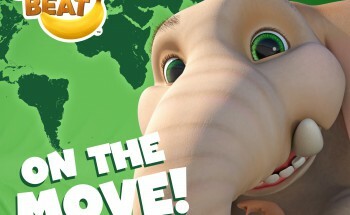 Jungle Beat is a fun, family-friendly series of CG animated, self-contained, dialogue-free episodes focusing on different animals and the bizarre situations they encounter in nature. The stories are classic, slapstick, with simple situations that spiral into hilarious chaos. The Jungle Beat Explorers are four intrepid adventurers on a slapstick mission of discovery! Their short adventures run alongside Jungle Beat to make 7 minute episodes, but also stand alone as 2 minute episodes. Sunrise is a production company with a full service animation studio based in Cape Town, South Africa. Launched in 1998, Sunrise made an impact on the world of media with the release of the first ever feature length stop motion animation to come out of Africa: The Legend of the Sky Kingdom. Sunrise has a passion for quality storytelling, and a conviction that film is the world’s favourite media for stories. Their mission is to inspire, entertain, challenge and enchant audiences worldwide, providing the finest in family entertainment. Their flagship animation series is Jungle Beat, the multi-award winning series of animated short films that have been broadcast in over 180 countries worldwide. Sunrise has also pioneered an entrepreneurial 3D animated character branding and marketing model for high profile sports brands, and partners include England Rugby’s Football Union, The South African Rugby Union, Sharks Rugby, Cricket South Africa and the Welsh Rugby Union.